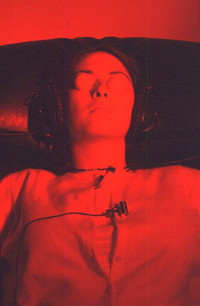 The ganzfeld is a mild sensory isolation procedure that some researchers believe to be conducive to Extrasensory Perception (ESP). This procedure has been used in hundreds of ESP studies. Method: In a standard ganzfeld ESP study one participant (the ‘sender’) attempts to mentally communicate a randomly-chosen image or film clip (the ‘target’) to another participant (the ‘receiver’). The sender and receiver are placed in separate rooms. The receiver reclines in a comfortable chair, wears translucent eye-shields, is bathed in red light, and listens to white noise. A target is then randomly chosen from a large selection of images or films, and shown to the sender. Whilst the sender looks at the target, the receiver describes any thoughts or images that come to mind. After about twenty minutes, the receiver is shown several images or films (including the actual target) and selects the one that most closely matches their thoughts and images. If the receiver chooses the correct target, the session counts as a ‘hit’, otherwise it counts as a ‘miss’. A ganzfeld study usually consists of around one hundred trials using different sender-receiver pairs. At the end of the study, the receivers’ hit-rate is compared with the chance expectation. Results: The results of the ganzfeld studies have been the topic of fierce debate, with some researchers arguing that they provide evidence of ESP (e.g. Bem & Honorton, 1994), and others noting that these findings have not been replicated across different laboratories (e.g., Milton & Wiseman, 1999). To help resolve this debate, Dr Caroline Watt at the KPU has established a system for researchers to pre-register their studies. Other KPU research has examined the types of people that seem to perform well in ganzfeld ESP studies, and this work has discovered that people who regard themselves as creative (e.g., artists, musicians) tend to outperform others (e.g., Dalton, 1997; Morris et al 1998; Watt, 2006). Precognitive dreams are amongst the most commonly reported paranormal experiences. 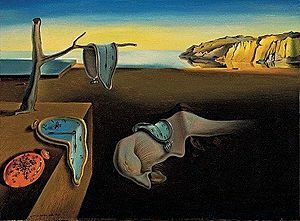 Precognitive dream studies are usually conducted in a sleep laboratory, and involve a participant trying to dream about a randomly chosen image or film clip that they will see in the morning (the target). Method: A precognitive dream study usually involves a small number of people who claim to be able to dream about the future. In the first part of the study, the participant is connected to EEG equipment, and awoken whenever they enter REM state (associated with dreaming). Each time they are asked to describe their dream. In the morning they are shown the target. In the second part of the study an experimenter reads each of the participants’ dream reports, is shown several images or films (including the actual target) and asked to select the one that most closely matches the dream reports. If they choose the correct target it counts as a hit, otherwise it counts as a miss. At the end of the study, the hit-rate is compared with the chance expectation. Results: The first precognitive dream studies were carried out in the early 1970s at the Maimonides laboratory in New York, and obtained positive results. These studies have been the subject of a great deal of debate. Dr Caroline Watt recently attempted to replicate this landmark research, and found no evidence for dream precognition (Watt, Wiseman & Vuillaume, in press). Her work into this topic has also explored the psychological factors behind reports of dream precognition (see Beliefs and experiences). Dr Watt’s full report of her Perrott-Warrick Senior Researcher programme of work on precognitive dream experiences is available here.